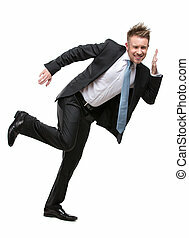 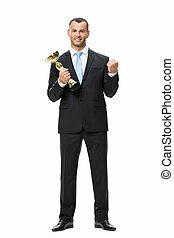 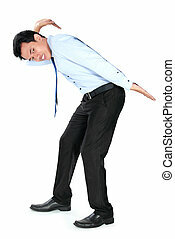 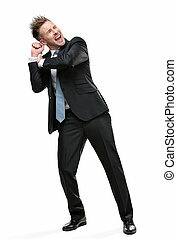 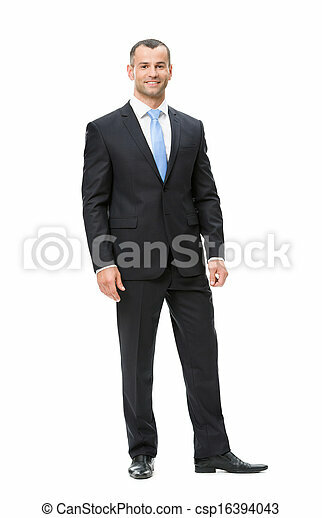 Full length of businessman. 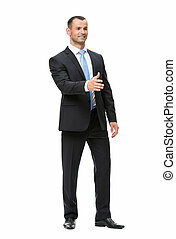 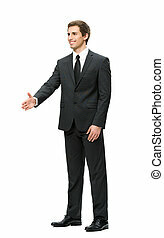 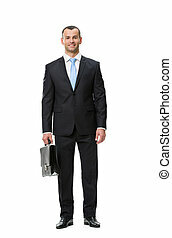 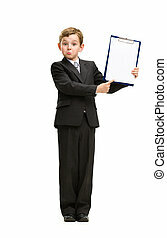 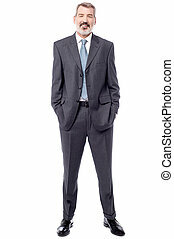 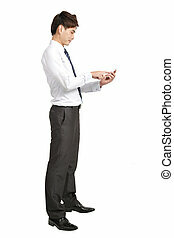 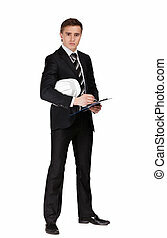 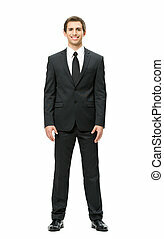 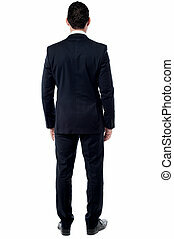 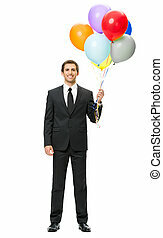 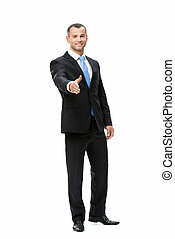 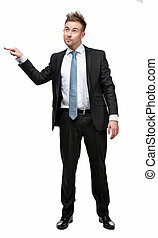 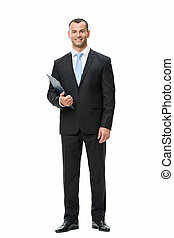 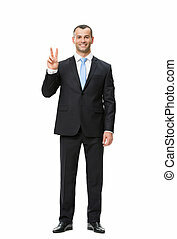 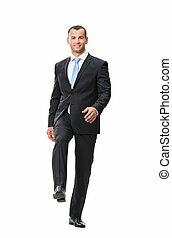 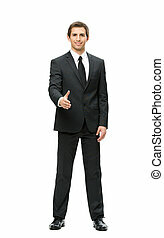 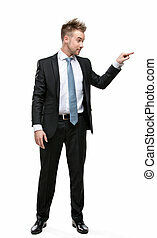 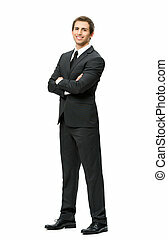 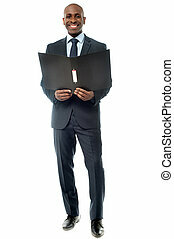 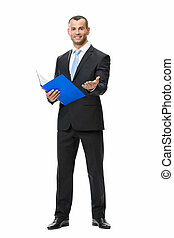 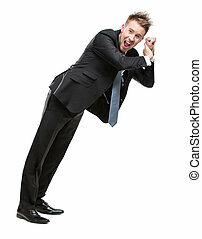 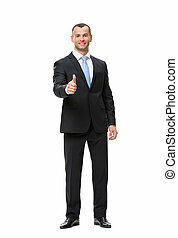 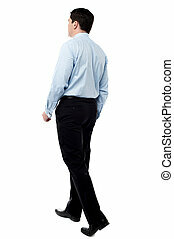 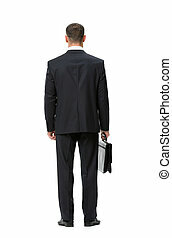 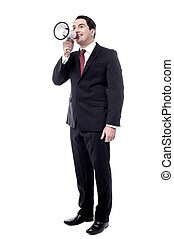 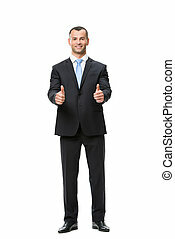 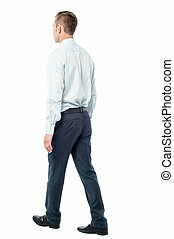 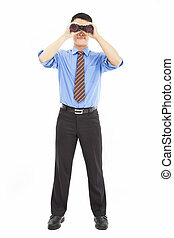 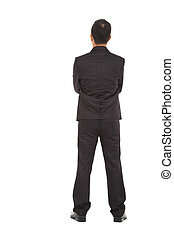 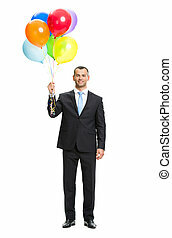 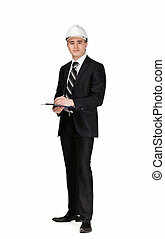 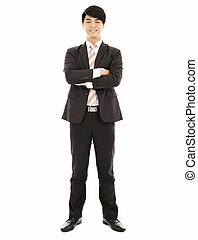 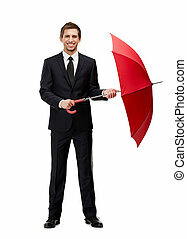 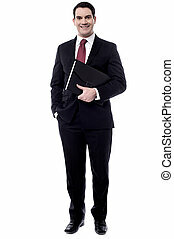 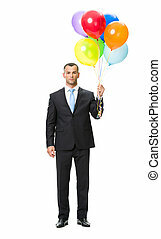 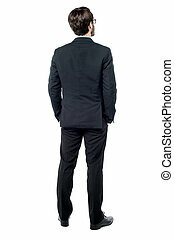 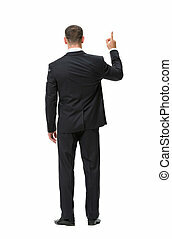 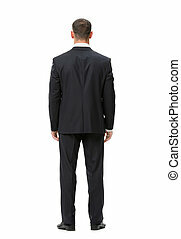 Full-length portrait of business man, isolated. 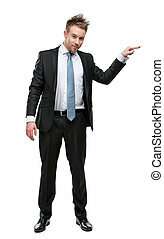 concept of leadership and success. 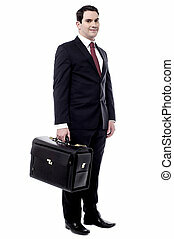 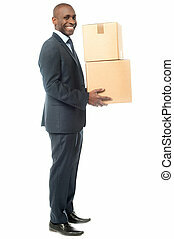 Full length of businessman carrying cardboard boxes.